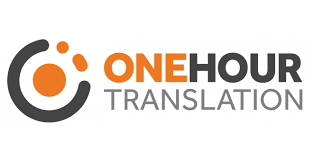 Earlier in May 2015, OHT-Enterprise, a One Hour Translation company has conducted a global survey where they’ve interviewed a number of 800 respondents from different locations, 100 each from the US, the UK, Australia, French speaking Canada, Germany, Italy, the Netherlands and Japan. Based on their answers, the study highlighted the idea that consumers can easily make the difference between human translators and automated translation tools. According to the OHT-Enterprise, 80.3% of all respondents said that they could tell the difference between human and machine translation, with 24.2% answering “definitely”, 55.4% “most likely” and only 3.4% answered that they could “definitely not” make the distinction between these two types of translation. Given the increased demand for translation services and a more and more globalized word, businesses have understood the importance of localizing their products and services for a wider audience, and tailored them to different targeted markets. However, they should be aware of the fact that consumers do recognize easily automated translation. To read more information about this new survey, see the source link.